Three of America’s foremost writers will serve on a special memorial jury for the 1997 Rea Award for the Short Story. The writers are Andre Dubus, Cynthia Ozick and Tobias Wolff. The Rea Award for the Short Story is given annually to a writer who has made a significant contribution to the short story as an art form. To qualify, a candidate must be a U.S. or Canadian citizen. The recipient who is nominated and selected by a jury receives a $30,000 award. The winner of the 1997 Rea Award will be announced in April. This year’s award is a tribute to its founder, Michael Rea, who died at his Connecticut home in July of last year. Mr. Rea established the Rea Award for the Short Story in 1986 through his philanthropic organization, the Dungannon Foundation. The award is being continued through the patronage of his wife, Elizabeth Rea, of Washington, Connecticut. Andre Dubus has been committed to the short story as his primary form of fiction writing. His short story collections include Separate Flights, Adultery and Other Choices, Finding A Girl in America, The Times Are Never So Bad. The Last Worthless Evening, Selected Stories and Dancing After Hours. He has received the PEN/Malamud Award, the Jean Stein Award from the American Academy of Arts and Letters, the Boston Globe’s first annual Lawrence L. Winship Award and fellowships from the Guggenheim Foundation, the National Endowment for the Arts and the MacArthur Foundation. Cynthia Ozick is the author of short stories, essays, novels and a play. Her most recent collection of essays is Fame & Folly. She is a member of the American Academy of Arts and Letters. 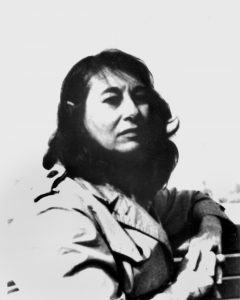 Her fiction and essays have appeared in numerous anthologies including Best American Short Stories and she has been awarded four O’Henry First Prizes for the Short Story. Her short story, Save My Child, will appear in the next Best American Short Stories. The Puttermesser Papers, a novel, is forthcoming from Knopf in June 1997. Tobias Wolff ’s three short story collections are In the Garden of the North American Martyrs, Back in the World and The Night in Question. He is the author of the novel.. The Barracks Thief and of two memoirs. This Boy’s Life and In Pharao’s Army. His short stories have appeared in The Atlantic, Antaeus, Esquire, Granta, The New Yorker, Vanity Fair, and other magazines, journals and anthologies in the U.S. and abroad. He is writer-in-residence at Syracuse University. His prizes include the Los Angeles Times Book Award and the PEN/Faulkner Award. In addition to Andre Dubus, Cynthia Ozick and Tobias Wolff, winners of the Rea Award for the Short Story were Robert Coover (1987), Donald Barthelme (1988), Joyce Carol Oates (1990), Paul Bowles (1991), Eudora Welty (1992), Grace Paley (1993),Tillie Olsen (1994) and Richard Ford (1995).